While the tech world is eagerly anticipating the launch of the 10th anniversary iPhone, dubbed the iPhone 8, new leaked photos reveal the Samsung Galaxy Note 8 could be the most exciting smartphone of 2017. The leaked photos, which are based on images of a dummy version of Galaxy Note 8, appear to show the new device will include a groundbreaking feature. For the uninitiated, dummy versions of phones are sent out by manufacturers to the makers of cases, screen protectors and other accessories in order to the help get exact measurements and shape of the device prior to the official release. While there is no way to verify the authenticity of the images, which were first circulated on Weibo, they appear to reveal the Note 8 will not only include the same Infinity Display found on the Galaxy S8. Not only that but the photos appears to show the device missing a fingerprint sensor either on the front or the rear of the device, suggesting that Samsung may have managed to finally embed the fingerprint sensor under the screen. Previous it was believed that Samsung wanted to do this on the Galaxy S8 but it proved technically too difficult, forcing the Korean tech giant to move the fingerprint sensor to the rear of the device. Apple are reportedly running into similar problems trying to fit the home button into the display of the iPhone 8. The dummy device also appears to bear a vertical dual camera setup, which has already been mentioned in previous rumours. The Note 8 is expected to include a 12MP wide angle sensor alongside a 13MP telephoto sensor, which will support 3X optical zoom. 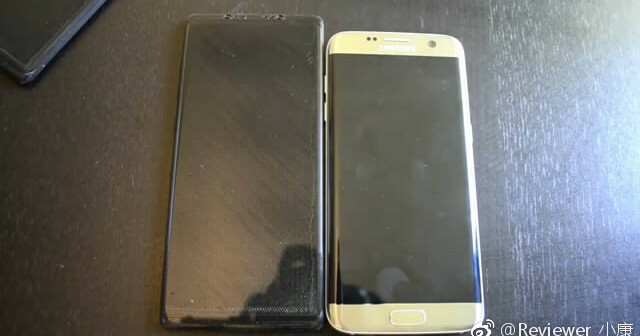 The leaked dummy device is pictured alongside a Galaxy S7 Edge for comparison, which shows the slightly larger sized Note 8 with a huge display. 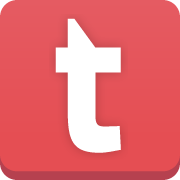 YouTube channel Concept Creator took the leaked image one step further by creating a 3D printed concept based on the info taken from the leaked photo and other previously reported rumours. The Galaxy Note 8 is rumoured to include a 6.3 inch display with either a Snapdragon 835 or Exynos 8895 chipset and a 3,700 mAh battery. The Note 8 is expected to be unveiled at IFA 2017, which takes place in Berlin during the first week of September. However, Know Your Mobile reports that the device could be released in the summer 2017, while the refurbished Galaxy Note 7R could be released as early as next month.